It is purely a myth that this metal is safe hub to invest. The metal lost over four-fifth of its purchasing power from 1980 to 2000. It climbed down by a third during the times of economic depression in 2008. Gold should not be considered different from other metals, as even there is volatility in the bullion market. In a scenario, when the actual worth of gold cannot be determined, it is not possible to say with assurance that it is priced highly. Dylan Grice, a strategist at SG Securities says that if the gold is compared to the money supply, it is still valued below its historical standards. It is not understandable that why the figure 7% has been recommended. In a scenario, when 93% of the remaining portfolio fails, 7% investment in gold could not compensate for the whole worth of portfolio even if the price of the gold is doubled. 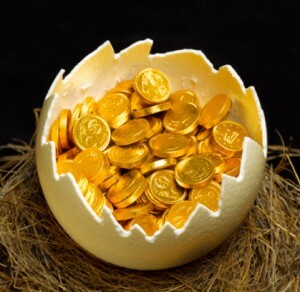 If there is a surety of gold boom to loom, then one can take risk of infusing funds in out-of-the-money call options on the SPDR Gold ETF or on the Market Vectors Junior Gold Miners ETF. How can one estimate the purchasing power of gold over thousand years, when it is not even easy to assess the same for last 50 years. Some believe that it has been included in the Bible that 1 ounce of gold could buy 3000 loaves of bread, but there are no evidences for the same. Even if the gold’s purchasing power had remained the same, then its inflation adjusted rate of return would have been zero, which is provided 2% on inflation-protected government bonds. Every individual mining stock involves risk. But, the risk involved in investing in small mining stocks monitored by the Market Vectors Junior Gold Miners possesses less risk. Sometimes, small miners offer a profitable deal in comparison to big companies, depending on the price. It has been seen that over the years, silver and platinum has moved in the same direction as gold has advanced. Silver has surpassed gold by 25% and platinum by 5% over the past 20 years. But, there has not been steady movement in the prices of the different metals. To get a profitable deal, one should trade on these varying moves wisely. Other than gold also, there are ETFs to invest into silver and platinum. This is not the case. Take instance of Vanguard Precious Metals and Mining, which now has been shifted to the natural-resources category from the bullion one. Also, majority of the gold mutual funds don’t make investment in gold only, but in stocks also. For at least five years, people are preaching that smart money have got out of gold. Even then, John Paulson a hedge fund honcho has pooled around $4 billion of the funds of his company in the SPDR Gold Shares ETFs. Also, George Soros has injected an amount worth $650 million in the gold ETF. People term gold as real assets and thus value it more even more than the paper money. But, it is not so. Accumulating gold only cannot save one from a situation of crisis, as liquidity is provided by cash only. The profitability of gold stocks depends on the price you are paying. It could rise or fall accordingly. No doubt for many years, the stocks offered by some big companies were highly priced, but in the economic crisis of 2008, the gold stocks fell below the metal. Where did you get that a portfolio needed 7% investment into gold? I’ve heard of 5, 10, and even 15% but this is the first time I hear this random number 7 being brought up. I agree on you, gold is one of the most stock where you can invest in your money. And I believed that gold price is arising from time to time. Make a wise decision in investing your money now. Nice thought! Gold has always been a great way to invest your money, but you must pick the right time to buy. Investing in metals recently posted..The price of gold is down – The perfect time to buy! Wow, what a plethora of information you have here for folks considering investing in gold and precious metal in general. I certainly will be bookmarking and sharing this with others so they can visit this post to get more info on this subject matter. Investing in gold it is not that much risky business and the same time it is good thing to do since it can help you to hedge against inflation today. Good information that everyone should read before investing in gold. While the price of gold has dropped dramatically since this post I think people will be looking back in a few years wishing they had bought while it was at a bargain price.